Dreaming of an Early Spring: Spring Green Ball Jar Giveaway! Spring Green Heritage Ball Jars! These limited edition Spring Green Heritage Collection Jars celebrate the 100th anniversary of the “PERFECTION” jar, by the Ball Brothers. . .
and embossed logos on front and back. an early spring bloom in my Potting Shed. at Trader Joe’s in bundles for $2.99. . .
An inexpensive way to get a flower fix! Spring Green Ball Heritage Collection Mason Jars. of the modern standards for quality and reliability. let me know by comment how you would use them. . .
food for a picnic, or flowers? Subscribers/followers automatically get a second entry. and let me know by comment. and leave an additional comment telling me so. Giveaway is open to those living in the continental US only. The winners will be chosen March 14th! Wishing you an early Spring! I would use them exactly how you have…I am craving warmth and spring here in Ohio! Already a subscriber! Love your site! I would love to use these for some spring flowers! They are so pretty! Thank you! Beautiful, I would love to serve in them and use them for flowers! I would use them to store items like sugar, baking soda, salt, etc. in the kitchen. They would look so pretty on the counter top. I hope they come with lids! I am an email subscriber. Thanks! I love your blog and your dogs. I shared your blog on facebook. If I win, I’ll mix us some super dooper lemonade and fill each jar and then put in a bucket of ice so it will be dreamy cold. I would use them for spring flowers. That is, if spring ever gets here. I follow you via e-mail. Love your blog! I would store smoothies in them! I would use four of them for refrigerator pickles to give as gifts, and the other two for flowers for me! I would use them for storage or use them as decorations on my kitchen shelves! I shared your post about the giveaway on Facebook. A few posies in a Ball jar with a ribbon around the neck of the jar is one of my favorite ways to brighten someone’s day! Hi Mary. Such cute jars, I would use them for flowers and maybe for sweet tea in the summer. I would try and copy you exactly with the flowers, on my patio, blending with my large collection of vintage watering cans. Love your creativity. I am an email subscriber. I would use them with candles. I light them every night. I also can my own food from our vege garden. These would be pretty to use. Love your blog. I love the color green. I’d use them for flowers … can never have too many flowers! Lovely post. Love this new anniversary color. I would share the set, 1 for a friend who has a collection of blue, 1 to each of my daughters-in-law, 1 to my sister and 1 to my niece. I think they would compliment most any flower we put in them. I love seeing your posts pop up in my email box, and following your blogs. I shared this lovely snippet of spring post on facebook. WOW–that green really pops and does put me in the mood for Spring! I have lots of ideas how to use them–for flowers like you did, for food gifts, for fabric strips rolled up–also a gift for sewing/quilting friends. SO pretty! Thanks for the chance to win. J’aime beaucoup le tableau avec des roses que l’on aperçoit derrière le bouquet de fleur rose. Passe une bonne et belle journée. They look so pretty filled with flowers. I’ve looked at Walmart and Target, locally (in Mvl), but couldn’t find them. Would you mind posting your source? I follow on Facebook. Thanks. Hi Tardevil :) These are the best price I found, but I’m sure they will be flooding the stores (Target, Michaels & Walmart) soon like the blue jars did. I love your beautiful Potting Shed and thank you for sharing such beautiful pictures. I look forward to your post via e-mail and Facebook. I would love to have some green Mason jars…love them! I shared your post about the green Mason jars giveaway!!! Flowers !!! for this time of the year ! Every green spot is welcome in wintertime but canning cucumbers & for pickles it`s great too . Wonderful pictures .Thank you very much . Love the green! I have the Turquise and love them as well for summer. Love the individual desserts. Maybe for Easter?? Oh so many ways to use Mason jars that I don’t know where to start, so I will list a couple of favorites!! I love to use Mason jars when entertaining. I tie a pretty ribbon around the neck of the jar and display my flatware in the jars at the buffet. This always gets nice comments from my guests. In the summer I have been known to serve cobbler in small Mason jars. Mason jars speak to my childhood memories of watching my parents can green beans, tomatoes, and various other vegetables from their garden. And, I LOVE the anniversary color. Great blog entry! I am so in love with your potting shed!! I would use the jars for iced tea and for flower displays! Love your blog, already an email subscriber. I would use the pretty jars for flowers In my windows by the river. Love the idea of forcing spring bulbs in them. I would use them for drinks, dessert parfaits and flowers. I am an e-mail subscriber. I would put the jars on my quilt rack to display with my Grandmother’s Dresden plate quilt. Love your blog. I would use them at a spring bridal shower I am hosting for a friend. In fact, I might just go out and buy some today! Thanks for sharing another beautiful post! I would use them also for flower, canning, in the kitchen for nuts doggie treats, bird food and tea lights. They are beautiful…..thanks for sharing. I would use them for drink jars for my grandchildren complete with a colorful straw! I am an email subscriber! I would use them as a vase as in your lovely post and to hold silverware when we have a dinner or lunch gathering at our summer place! Of course I will pick-up a couple sets of each size…looking forward to the Quart size since the Blue ones were only Pint sized. One set…I would tie burlap and ribbon around for fresh flowers…maybe pack some salads for a summer picnic…lots of possibilities. My main objective would be to gift these beautiful jars filled with flowers, baked goods, perhaps a plant to pot later. I luv to bless those around me…especially in any type of mason jar. Oh! Fill with Homemade Vanilla Extract…perfect! I love the color of these jars. I would use them for flowers but also for salads for whenever Spring comes so I can go on a picnic! Good Morning, Mary! I am longing for Spring too! Love those green jars, i have seen blue, but never green. I would fill them with flowers, or mini Irish Soda Bread Muffins to give as gifts. I am a subscriber, and will go find you on FB. on the Easter table full of jelly beans and flowers . . . I would use the pretty green jars for garden flowers. You could also use them at Christmas for holly or red flowers and greenery. I echo all that’s been said!!! I use many of your darling ideas and love that you set the stage for me. I am constantly looking for new and fun themes for our lake house. I follow you every day and love every minute!! I think food and flowers are the way I would use them most…..but would be cute with sand and candles in them too!! Oh, overflowing with flowers most likely ~ so pretty! I would use them to decorate for my son’s rehearsal dinner with flowers. I love you blog. It brightens my day. You have a magic and beautiful touch to making things look so special. You are an inspiration. I smile when I see a posting from you in my in box. I would use them for flowers as you have. Love the color. What beautiful jars these are. I already have the blue, and they’re so pretty used as vases for my garden flowers. I would probably do the same with these green jars. I am a follower by email and on Facebook. Love your styling! I would use the new green jars in a variety of ways; to hold sweet spring flowers, drinking glasses, as a votive. I’ve been watching for the green Ball jars but haven’t spotted them yet in stores. I also shared your post on Face Book. I am an email subscriber and read your posts every morning with my coffee. My first thought was using these for St. Paddy’s Day – you wouldn’t need green beer!!! Definately would use them through spring and summer for flowers from the garden with pretty polka dot ribbons and jute! Thanks! Isn’t the green color so pretty and Springy? I’d use them for flowers and for packing a picnic salad and also for serving drinks. I’m an email subscriber of yours already. I’m making paper flower topiaries from florist foam balls, pins and scrap paper cut flowers. Your green ball jars would be the perfect holder for one of these! OHHHH! I can send pictures if I win! Thanks! I would use some of the jars with flowers to brighten up my living room and i would give a couple to my special friends with flowers in them to brighten their day! Then I would us them in some of the great ideas I read here! Your jars are so pretty with the flowers, and that is how I would use a few by filling with flowers for dear friends, April showers bring May flowers!! Always enjoy your post in my email. Those green Ball jars are perfect for Spring, St. Pat’s day and really all summer. I can just imagine peonies or sunflowers displayed in that gorgeous green. Thanks for the giveaway. Hi! Every fall 6 of my closest college friends from wa-a-a-ay back get together for a long weekend. I would fill these precious jars with goodies as a remembrance gift of our forever friendships and fun together. Your blog is always a visual treat!! Mary, I have been an email subscriber for awhile now and I look forward to your posts everyday. It’s actually Spring here already in Florida so I have lots of flowers to show off in these beautiful jars. I have many jars entwined in my decor already and these would surely be a lovely addition. Thanks so much for all the love that you put into your blog and also for this beautiful give away! I love all your posts and awesome pictures! My daughter is hosting a country wedding shower for her friend and would love to use the jars for center pieces and decorations. Then they can be shared with the bride to be or as favors for others in the bridal party. Thanks for your daily posts! Of course I wouldn’t use them for what they’re intended for! The jars remind me of a soap dispenser I received from B&BW a few months ago, and I think I’d like to copy the idea and make soap dispensers as gifts (Easter, Mother’s Day, Birthdays,Thank-you, etc.). After all, planting season is just around the corner! yay! I would use them for flowers and greenery and set them at each place setting and then allow guest to take them home! I love the green color. It would be a good match for my ‘lodge style’ home. I want to try the antipasto skewers and the salad in the jar that I’ve seen you make. I would also use it to sprout a sweet potato because the vines are so pretty. Lovely green color! I would have to use a few for flowers. They would be great to use in my scrapbook studio. Filled with buttons, charms, etc. I follow by email! I would like to use them on my new fence in my back yard. I would wire them to the slats, fill with life giving earth, and plant herbs and flowers in them. I think it would be a sweet touch to my backyard! Thank you for the opportunity to win some! My grandson is getting married and June and the bride to be is crazy about mason jars and is using them in the wedding. Her colors are pink and green and these would be lovely at the head table (with burlap runners) filled with Queen Ann’s lace and pink peonies. She would love them and they would be a wonderful keepsake of her wedding. These are the perfect addition to a St Patrick’s Day birthday celebration I am planning. I would use them for drinking glasses and for holding flowers for the centerpieces. I just love the color!! Would love to use them for an Easter brunch and then all summer for iced tea. Love your blog. First I would probably just pet them and look at them. :-) Then I would put flowers in some and use others to display my vintage cutlery on the sideboard in the sunroom. Then they might end up holding buttons or trim in the sewing room later on. I love Bell jars and use them all over the house. I love mason jars and collect them and green is my favorite color so these are perfect. Flowers would look beautiful in them which is what I put in a lot of mine. I also would use them to hold some of my sewing items such as buttons. I host an annual St. Patricks day party.. Pints of green beer. Quart jar candle lumineras lining the walkway, oh give me green jars and the ideas are endless. Love the green….I would use them for flowers, especially now while dreaming of an early Spring!!! Some pretty yellow bell(forsythia) branches will be just gorgeous in my little sunroom!! I shared this on my FB page and I am an email subscriber…..Just read about your big move! Can’t wait to see the new landscaping around your beautiful potting shed!! Good morning Mary….I would use these jars to decorate my table for St. Patrick’s Day…a special day in this household!…I love the dreamy pics of these jars in your garden cottage/shed…pinning, pinning! Off to share this on my Facebook page!…Great giveaway Mary and gorgeous pics!…as always! You used stock!!!! It is one of my favorite flowers, SOOOO fragrant! I would use them several ways; for flowers of course but also for salald in a jar or ANY picnic food and also for storage!!! Sharing right now on Facebook!!!!! I would use as a vase, also to drink out of. I am a follower. Thanks for the giveaway! I would use some with sand, seaglass, and a tea light at my cottage. Perfect! I’d use them for flowers, drinks, and desserts. I love the display in your charming potting shed! The stock is beautiful…….fragrant and one of my favorite flowers! Love the new green ball jars, and would use them to share spring flowers from my garden with others. Thanks for constantly inspiring your readers!! I’m a subscriber, so here’s my 2nd use: I would fill some of them with seashells and put them in my cottage by the lake. Thanks again for a great site! For flower vases, and to take goodies to friends. This was a lovely way to begin my day! The Stock is just beautiful! I believe these jars are much too special to use for canning. They deserve to be honored with beautiful flowers or delicious treats. I would also use them to hold wonderful drinks to share with friends and iniate good converstion about good times past. I love your blog – keep up the good work. I would definitely use them for flowers! Well, with St. Patrick’s Day around the corner I would tie some cording or twine around the neck and tie on some festive shamrocks to the ends. Then use them for green beer, green layered dessert or green arrangement for a few ideas. I would use them to decoration around my home and possibly for canning something I have always wanted to get into. Love these! We are looking for them to use to hold flowers to line the path on the way to the gazebo for my daughter’s upcoming wedding…her colors are green & white and these would be perfect…..hung on short shepherd’s hooks….maybe some baby’s breath and some white flower’s tied with some jute twine or green/white curly ribbons…..what do you think?? Would these be pretty with candles in them! So glad to see some color besides blue! Count me in and thanks and, by the way, I am swooning over your Sioux City seed crate. These would be so pretty to store my rice, oats, granola ect. Spring can’t get here soon enough flowers would be pretty in them also. I start African Violet plants in clay pots to which I attach “wicks” and place on top a water-filled glass water vase. This way the plants can drink what they need. Your jars would look terrific sitting on my window sills filled with the promise of coming blooms. Love! these beautiful green jars! Love how you used them for vases .. they would look awesome for any type of display. I have a set of these already and would love the chance to win another set. These are so fresh and pretty for spring. I am a follower of yours and I shared on my FB page. What a great giveaway and thanks for the chance. I love the way you have these displayed just gorgeous. Of course I’d use several as vases but they also make the cutest food storage container for the pantry! LOVE ~ LOVE~ LOVE~ the green!!! I would use one for flowers and put it in the adorable antique tool box that holds my cookbooks next to my stove:) I would use 3 others for my beautiful antique flatware for an upcoming ladies meeting in my home:) and the others would make a fantastic giveaway filled with my homemade chocolate fudge sauce!!!!! I would share on FaceBook if I had it! I would use them to store flour, sugars, pastas, popcorn, and rice. I love them!!. Beautiful shots, stock is an absolute favorite scent! Wouldn’t it be pretty to use these jars to hold breadsticks on your antipasti spread! I love them. Oh my the happy memories these jars bring to mind of my Grandma Behrends’ canned garden vegetables. She was more of a cook than me, so I’d display forks, knives and spoons in them for a sun porch picnic! I would use them for cut flowers and for food!!! My favorite color is green and I was so excited when I saw the jars in this beautiful color!!!! Pink and green…a perfect combination :)) will share on FB too! I would share them with my family filled with love and flowers. Happy to be following along! The jars are so beautiful! I would have to display them somewhere where light could shine through them so you could see the real beauty of them. Thanks for sharing them! Oh, I’m so excited to see them in this gorgeous green! I’d be using them for all kinds of decor fun! Mary….another beautiful display….I love your blog…I follow you on facebook also….I would put these jars in y kitchen windowsill and fill with flowers and herbs!! Thanks for your great post!! I’ve been a follower since I found you! thanks for the chance to win! They’re perfect for Spring! I would use them to serve a salad and to display flowers. Shared on my Facebook page. I follow your Facebook page and I am also on your email list. I would love to win these beautiful green canning jars. How would I use them? Generations of my family have used canning jars for all sorts of things..some uses…hold nails & items that need a home…hold paint thinner to wash brushes with..live in the South so using a canning jar is not new or a fad for us! It is a way of life! Drink tea, water, vase as you have for flowers, collect bugs punch holes in lids for kids….It not only is a pretty item but an item well used in this household…These beauties would be treated special no paint or thinner in them..lol…Please enter me in your giveaway! Thanks! I love your blog! 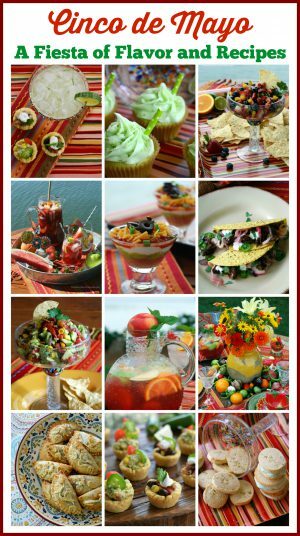 You create such beautiful and creative decor and recipes. I would use these green mason jars for storing everything from cotton balls to nuts!. I never can find an appropriate vase for cut flowers. This is perfect! Shared on Facebook and you know I follow you. Wonderful blog. Love the color! I would keep two and share the others with friends filled with spring flowers…. I would fill them with the daffodils that my mom planted and remind me of her every spring when they bloom. They would look beautiful lined up down the center of my farm table in the classic green ball jars! I would use them in several different ways, I love to drink out of ball jars, I have a country kitchen, and they are adorable, I’ve used them to put candy in, on my kitchen counters and cupboards. Also to put flowers in, I love the recipes for pasta salad, and it looks great in mason jars. Hoping to win this time. What a fabulous giveaway!! Everything is so beautiful!! I would use them around the house and porch with pretty flowers!! :) Thanks for a chance to win! My canning husband would definitely use them to can and then put them out for open display. I love these jars! I would use them to can my home grown peaches and tomatoes, and strawberry jam! I am already a subscriber by email, and a follower on facebook. I love your blog, and would love to win! Thank You for the opportunity! I signed up for your posts! What a wonderful gift. I would use them for flowers and for storage. I am a subscriber. I get your posts by email and on facebook. I am an email and facebook follower/fan. I dearly love every one of your posts. I love ball jars as in the era I grew up we did a ton of canning. Now I use them as vases and they are great for food storage, ie, rice, dried beans, etc. I have also used them as drinking glasses. I love these jars as they bring back so many memories. I love to fill them with Marinara sauce! I have been an email follower of yours for quite a while now – love your blog ! More snow is on the way for the Kansas City area but your ball jars sure could hold some beautiful spring flowers. Thanks for the giveaway. If I won, I’d use mine for everyday drinking glasses at my dining room table AND for the coordinating containers for a centerpiece of flowers, on my table that changes with the season. Spring would find them filled with forsythia braches and daffodils (and a wild Lupine or two from my garden bed); in the summer they would be graced with herbs and daylilies and fall they would be filled with Red Oshier Dogwood branches and poufy flowering stems of my ornamental grasses; winter would find them filled with evergreen boughs and our wild Michigan holly I collect from the wetlands. The Small House Under a Big Sky colors are terra cotta, cream, rust and forest green and these green glasses would be perfect in my home! Thank you. I hadn’t seen the green ones, Mary. They are perfect for the potting shed. I need to stop by Trader Joe’s and pick up some blooms. ‘-) We were in Container Store last week, and they now carry the Ball jars with the cute bee design. I picked up a graduated set of three for flowers. Will look for these new green ones. Your potting shed photos make me want to putter in the garden, but it’s cold and raining today. Would fill them with flowers! Shared on facebook. This would be perfect for my Key Lime marmalade…or perhaps Christmas gifts of Brandied Cranberry Orange Relish. Can’t wait for canning season to start!! Love these! Your displays are so Beautiful! I would use them filled with flowers for a pretty springtime tablescape. I love the color. I am posting this giveaway on my facebook page too. Thanks! I would use them for everything. We live in a log home and I love vintage everything!! I have a great wire basket that 4 of these would fit perfectly filled with seasonal flowers. Love your shed and I already subscribe to your daily blog. Thank you! Did you find them at Michael’s or the grocery store, Hobby Lobby? Please share. I’d love to have a set. Hi Mary……oh my gosh these green Ball canning jars are fantastic. When I saw them the first thing that came to mind was to use them for your Madi-Gras-Ritas at my St. Patricks Day party. Perfect! They will look so festive. I love canning jars and use them for everything. I am an email subscriber and look forward to your posts. Thank you for all the wonderful ideas. Pretty sure, I would use them as vases and maybe give one or two to friends. I love to share! I would use them for flowers and drinking glasses for my girls and granddaughters. We all like unique fun drinking glasses. Just right for a small milkshake too. I am already a subscriber! Shared on Facebook. Have a good day. Love the green! I would put candle votives, in them, wrap a little wire around the neck, light them and hang in the backyard for my Here Comes Spring party. So festive! Thanks for the give-a-way! I’ll probably put flowers in them…and maybe use some for left-overs storage in the fridge…they would be so pretty in there…I have dark purple stock and pink tulips on the dining room table right now! Mary – your blog is a treat for my soul! I always await your blog entries and enjoy them all. I live by the water as well and I would use these delightful green jars to capture some of my roses, phlox and hydrangeas. They make me think of spring and I can’t wait for it to arrive. Best wishes from Washington State! I was thrilled when Ball came out with these green jars. Green is my favorite color, St. Pat’s one of my favorite holidays, and I can see so many uses for these. Fun! Fun! Fun! A lucky e-mail follower who adores your site and beautiful talent of decorating. I would use these wonderful green Ball jars for display in a sunny window, storage of many buttons for crafting delights, and always one on my kitchen table with fresh flowers. Thank you for the opportunity! I would use them for southern sweet tea and Spring flowers! As a graduate of Ball State University in Muncie, Indiana, I would love to see these on my sunroom table filled with paint brushes and colored pencils. They would remind me of Ball State and all the good times and the great education I was able to experience. I love the Spring Green color! I would use the jars in various ways. Flowers & I’d put rolled up wash cloths in a jar and set on my purple bathroom counter-top. I’d put an array of plain and peanut m n m’s candies in another jar. I’d use one to hang in the garden (with a candle in it) I’d also think about what I’d can in the remaining jars…hmm sweet cherries! Gorgeous stock. I bet it smells great too. Wow, I love the green Ball jars. That was a clever thing to do as an anniversary edition to make them green. They will be a hit and already are as your giveaway. Very timely also for spring and St. Patrick’s Day! They are so pretty & versatile! I would used them with white flowers on my mantel, as a centerpiece or on my entry table, with white sand and candles or iced water for spring and summer. The possibilities are endless! Since I’m planning a kitchen re-do, these would be both practical and pretty filled with necessities and sitting amidst my cookbooks. So crazy about Mason Jars ~ I went nuts for the blue, last year ~ very excited to see another perfect colour for these multi task jewels !!! I would set a spring table with various colors and heights of spring flowers in the jars. 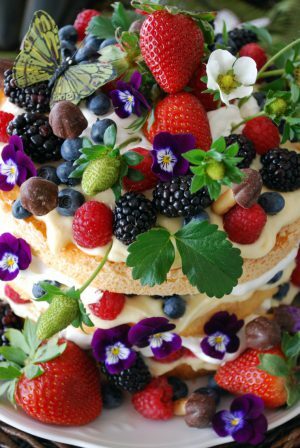 I would intermix them with my collection of McCoy flower-shaped vases, all set at different heights on cake pedestals on a green leafy tablecover. Love mixing different shades of green! For dishes? Adams Ironstone “Ming Jade” pattern, celadon green with pastel flowers and butterflies. For flatwear: Whiting’s Lily of the Valley. Thanks for your tablescapes. They give me such inspiration! I’d love to use them for serving desserts and for flowers. They are just lovely and such a nice addition to springtime! I would love to use them for flowers! For canning lovely garden veggies this year! I would use them one thousand different ways! I would use them as centerpieces on small round tables for a spring party with candles, flowers and raffia. I’d use them with flowers along with my vintage blue jars on the mantle filled with flowers. I would use them on my desk with pens and pencils. Oh, the posibilities. And I can pick them up! Love to come to Charlotte! I think I would fill them with jellybeans for Easter, and put daffodils in some, too! They would look great filled with spring flowers (it’s coming) sitting next to my antique blue ball jars. You’re such an inspiration! When my lilies of the valley come up – hopefully soon! – I think they would be especially pretty in these jars. Love the green jars! Last year I bought the blue jars & used them for indoor candle jars with glass marbles on the bottom & jute string bows around the neck. I also use them for candies on the counter; so pretty & so easy to access! I like using some older zinc lids for those jars. And blue-n-white checked ribbon around the neck & tied in a bow. I would use the green ones as vases for the wildflowers found around our OK lake house that my little granddaughter & I gather. Green jars, green stems! I think I would put them in the window and let the sun shine through them. They are gorgeous. Would love a set….use them at the flower shop where I work…even used them for a wedding last year(the blue ones)… Liked,shared,pinned and email…love them all! Beautiful jars in my favorite color! 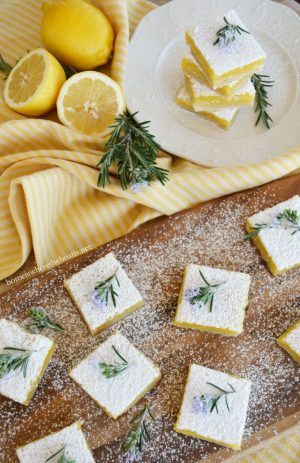 I would enjoy them serving desserts on the patio this spring. I already subscribe to your blog and look forward to your posts.mmhave a great evening! Forgot to mention I already “like” on Facebook and will be sharing! I would use my jars for flowers and to hold collections such as rulers. Great giveaway — thanks! I follow your bog via email — one of my favorites! I think they might look nice in my kitchen window sparkling with spring flowers ! Or maybe I’ll fill them up with Texas pecan pralines and send to my kin in Michigan ! Either way, it’s a great giveaway and I thank you ! I am a follower by email ! 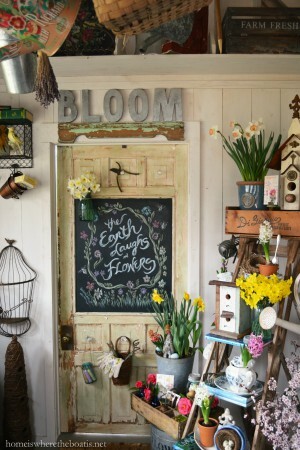 Love this post with flowers and other garden shed goodies ! Beautiful colors! Already a “liker”. I would use them for flowers, candles, drinks and anything else that comes to mind. I follow you on Facebook and email and love all your posts! We would use them for drinking glasses! and for bouquets! We drink out of canning jars all the time and I love using them with striped or polka-dotted paper straws. I follow you by email. I love stock — it smells so good. We have a wildflower garden and I would fill them with the wildflowers. I bought the blue jars last year and I think it would be pretty to alternate the blue and green jars in my old carpenter’s box. Hi— I have the new blue ones and old blue ones– green ones would be beautiful just sitting in the window sill with the sun shining through them! I would also fill them with seashells– we have plenty since we are by the ocean! By the way, your blog is wonderful!! You inspire me, all the time, to create beautiful areas in our home and on the porch! I would use these for vases for my flowers. I would put my juice in them (I’m a juicer) and of course use them as a flower vase like you did…beautiful! I want some of these for my Kitchen!!!! They are too Lovely. I would use them to hold Flowers, and they would make a Wonderful Gift, as I would fill some with something Yummy and give it away!!! I would use the jars to practice my photography. Your photos are works of art and so inspirational. Thank you for sharing your many talents through your site. I would use some jars for flowers and some for desserts. I love this new green jar. I would definitely use for flowers all year long, iced sweet tea, lemonade, freezer strawberry jam, fresh grated parmesan, and when I open a can of jalapenos, I can use a jar to keep the leftover peppers in. I’m already an email subscriber and follower. You are also on my favorites list. I would use the jars for serving desserts! I would love to fill these jars with white flowers and arrange them on the table for St. Patrick’s Day. I also will decorate with them and the blue anniversary ball jars (a Christmas gift from my mother). And of course they will get the chance to store some food too! These jars are beautiful! And my husband’s favorite color, too! I’d love to decorate with them….flowers and whatever else looks pretty in them (with ideas from your website). And also as drinking glasses (a la Pioneer Woman) and other attractive storage…like a pretty holder for dried pasta, spices, etc. Mary, So happy to see your potting shed back together and looking like its beautiful self again. Hope the move is settling in with you. I just love stock (one of my favorites), it’s fragrance is wonderful and the flowers so delicate. Also wonderful to see your lovely seed box again. That piece is truly a treasure. Thanks for the giveaway. They are always so much fun. If I won I would use the jars for picnics. I just love all your ideas for using jars that way. Love your blog….look forward to reading every day! Love the jars too…..will use on my potting table and to decorate ! I would put tealights in the jars and line the walk to my house…. enjoy your blog….good work! I would use them in my kitchen for organizing. I would use them in my kitchen decor since my kitchen is green and white and I already have some green depression glass. I would probably use them as a vase as you have or maybe even as drinking glasses, but either way, they would definitely be on display. I would use them for flowers and candles. Visiting from Home Sweet Home party; hope you have a great weekend! I would use them as ice tea glasses and also for flowers to share with my friends. I’m a long-time follower of your blog, via e-mail subscription. I announced your Green Ball Jar giveaway on my Facebook page, Mary, with a link to this blog post. Have a great day!! In my dream world I would have a potting shed like yours! I am in love!!!! What can I say – it is amazing and looks straight out of Veranda Magazine. I would have to make a dessert in those lovely green jars that would set off the green color. I just bought 18 of the blue ones to use for family get togethers. These are stunning! I love the Ball jars, especially when they are filled with colorful stems. You may have noticed I love using jars and bottles for flowers. I “liked” this on Facebook and also shared it with all my contacts!! I hope I win the giveaway!! Happy Spring!! These jars make such pretty flower containers. They’d also be a fun holder for utensils. Lovely giveaway! Beautiful, I would probably use 3 for soups and such and use the other 3 for decorating, possibly with flowers or something similar. Would Love them!! Oh..these are so pretty, I would share these with my granddaughter, who raises a big garden and cans! I’m a follower and email your blog! Spring, oh spring could you be far away? I love the green jars. We use Mason jars for glasses. They stand up to the heat of the dishwasher better than regular glasses. I looked for a box of these at Walmart today, but didn’t find any. I love them and would use them for flowers as well as for entertaining. I love the sweet smell of Stocks. They look so pretty in your jars. I am a follower and now like you on fb. Thanks for this sweet give away! I love the green and would find these very handy for numerous things. I would use these for everything from canning to flowers. My kitchen is this color. I love them. I would use them for flowers and candles. I follow you by email and Facebook. Love the green jars! First I would use them for flowers and candles. Then when canning season rolls around and a good sterilization of the jars, they would be used for canning tomatoes, pickles, green peppers, whatever we have a bounty crop of. It is hard to imagine warm weather right now, when we are buried here with snow in MN. Thanks for the gorgeous pictures and posts! These are beautiful! We can only get the blue special edition ones and I’ve wanted these for my green sunroom. I’d fill them with flowers and desert branches. I’d also use them for ‘salad in a jar’….a great make-ahead lunch! Oh my goodness, there are so many things I would use them for! They are so pretty and with this never ending winter they feed the soul with their cheerful color. But they would be beautiful to make some salads in a jar especially for a picnic. Wouldn’t they look smashing? I would love to use them to hold “sea glass” that I collect from Lake Erie! Love all the shades of greens and blues that I find. Love your blog! I would use them a glasses, and vases in my cottage kitchen where the color theme is green and pink, they would be a perfect addition! Happy Spring! I would use them to put flowers in and mix them with the blue ones I have. I would use them for many different things! I love to use them as vases as you did, would probably fill one with white buttons because I have a collection of old mason jars with sewing/art supplies and have wanted one of these to use too! I also love to use them for picnics..we often pack a picnic lunch in the summer and go explore for the day. Thanks for the opportunity! karen…. Great for St. Paddy’s Day decorating. Love the color. I’d use them for hydrangeas… at least the ones my daughter didn’t convince me she needed for her lavendar cuttings! I think I would use them for flowers, cutting roses from the garden to enjoy inside. They would also be just right for a batch of homemade applesauce. These green jars are awesome! I would use them for storing sewing items on my craft shelf, purple and green hellebores from my winter garden and just to set out amongst my grandmother’s caning jars. I Liked your Face Book page and made a comment there. Also, I subscribed via email to your Blog. Wow, that’s a lot of comments. I’m not interested in winning the jars but I do want to tell you how much I enjoy your styling. Wonderful as always to have you at Seasonal Sundays. Green is my favorite neutral and I love the shade of these! The cut flowers are sweet. Enjoying your blog from wet n’ rainy So Cal. Thx for the inspiration. Oops… liked on Fb and subscribed for drawing. I love these jars and your displays! I have never seen these! They are a beautiful color. I would use them to hold informal flowers arrangements, mainly. Although I might use them to store dry food which I want to be seen, on a counter, like another commenter mentioned. I would not, however, use them for canning except under extreme circumstances because I have dozens and dozens of plain, colorless jars for canning! Uh oh…I forgot to say that I already subscribe to your blog by email. I think that’s it…! I would use them for drinking glasses, and also for canning! Thanks for the great giveaway! I love your potting shed!! I would use the jars for serving desserts, storing food and spices in my kitchen, and storage of makeup and brushes in the bathroom. I am an e mail subscriber. I would use them for flowers and small craft items. Glad I found your blog- lots of inspiration! I can think of a hundred ways to use those pretty green jars, as green is one of my best colors. Thank you for the giveaway. Hello! I just found your wonderful blog today with your incredible Muffeleta Dip. I always wanted to try it, but I don’t need the bread. I immediately signed up to subscribe. This is a bright spot of my morning, thank you! The green Ball jars are beautiful! A few would go well with a green piece of stained glass in my kitchen window, with vintage pottery I collect. As for how I would use them, endless ideas are swimming around my brain. From being the perfect size to make fresh infused waters for our long hot summer, las my morning smoothie, to use as vases, displaying seashells, pretty kitchen, bath, craft and sewing storage, candle holders…They are so lovely as gifts too, packed with the ingredients of a favorite recipie or treat! I’m really looking forward to your posts in my email! Love those green jars! My daughter is graduating from college and we are having an outdoor grad party for her. These would be perfect for table centerpieces and for holding vortices. Thanks for the chance. I am a Facebook fan and an email follower, too. Thanks again! Love the green ball jars and the pretty flowers in them. I would use 3 for vases and 3 for Home Made Applebutter. Thanks for anther great post. I would use them for flowers and a few of them for storage in my sewing room. I love the color of these jars! I would enjoy putting floweres from our yard in them, use them for storage and drinking glasses! Beautiful! Thank you! Great canning jars. Love that color. Oh definitely on my mantel for flowers – so pretty! I’m an email subscriber and like you on FB! Such gorgeous vignettes! I thought about getting some of these green jars, I love flowers in them! I would either fill with blue, white, aqua & green sea glass collected from beach vacations and display in kitchen window where the light will make the colors twinkle OR top each with one giant white hydrangea bloom from the garden to use as centerpieces down the center of a rectangle table! Just thinking about it makes me smile! I love these! I would use them now for daffodils and other springy flowers on my Easter brunch table, in the summer with fresh herbs from my garden, in the fall with sunflowers in them, and pack them with homemade salsa made from tomatoes and peppers from the garden for Christmas gifting! I shared on Facebook, and i would use them exactly as you did! Thanks for the wonderful idea! I live in So. Ca., so I am enjoying Spring. My daffs have come and gone so these flowers are perfect for the Ball jars. I just found you through the linky party too! I love green and I love glass….so I love these green Ball jars! I would use them for fresh flowers or perhaps a big tall glass of cool refreshing water or tea! Sharing on Facebook too! I wish I had them now! I am planning decorations for a St. Patrick’s Day luncheon and they would be perfect for my centerpiece! I am now your fb friend! I would use those gorgeous jars as vases for fresh flowers. Love your photos! I shared your post on Facebook!!! Love those green Ball jars….I could put them to good use! Thanks so much!!! You always have such a flair for everything. I would use these jars for all the things you mentioned. And, I love green!!! I’m a big fan of the blue ball jars, now I’m big fan of the green! I would use for flowers and serving! Thank you for the giveaway! I’m a follower on facebook and email. I also shared this giveaway on facebook. 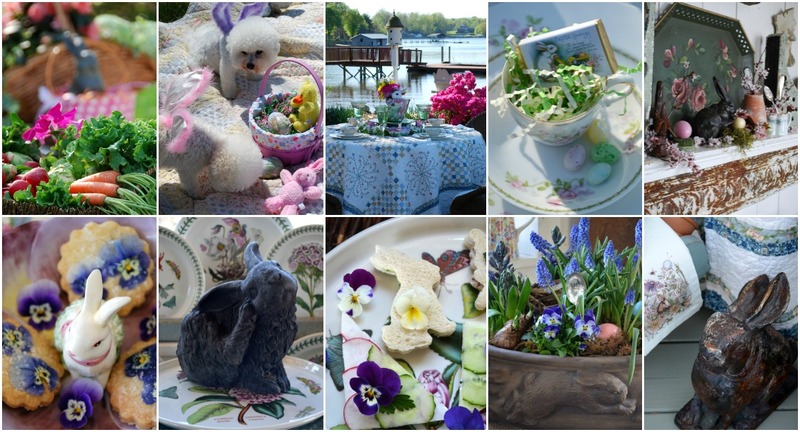 On an Easter buffet with my Grandma’s green glasses, beautiful plates and Easter baskets… how charming they would look with snipped coral-colored azalea flowers. If I could part with any, I would fill them with my spiced apple jam to give as a fall surprise …um, I might even put one in my office for keepsakes and trinkets. Green is my color! Love these jars! After reading all the above comments I can’t really think of many “New” ways to utilize these pretty jars. Vases, picnic lunch packing, garden shed decor, Christmas Decor, sewing and craft supply storage… on and on. Just using them for canning seems drab by comparison. I would love these jars and they would make a lovely addition to my home!! Thank you for all the wonderful ideas and beautiful posts. The picnic ideas are my favorite!!! Love ball jars any color. My madien name is ball. Well, first I would have to ask my Sister Beth if she would like one or two for her personal bath …she is a complete nutcake for anything green and her bath is so green every plant/flower she puts in there grows like crazy…..green bath/green thumb go together. The remainder would be mine or I might gift one other jar to someone special. I would use them for St Pat’s day =put a string of tiny lights in them to use as lantern on table, for Easter =as a vase with fresh flowers tulips/daffodils, I would use them thruout the summer but especially in August when I decorate with Sunflowers. In fall, Of course, Green is a staple Decor Color…. I like your idea in past posts of using beautiful moss in vases and pots to decorate….so imagine on of these filled with mosses, twigs, lovely spring leaves and tiny lights =I would put is somewhere in the family room and use it as a Spring Mood Light in the evening. My Mother (God rest her lovely soul) was a canner. She an my father had a LONG LONG history of putting up everything they grew in their garden in Ball Jars. She would always insist on genuine Ball Jars and lids/rings ONLY. She is smiling from Heaven now watching me post this, I am sure. She was also an artist and used her chipped Balls jars to hold her Paint brushes or to store Paint tubes or other painting supplies. Thank you for this post, brought back so many lovely memories for me. God Bless. Carole M.
I am going to have a “ball jar” going green this Spring! Can’t wait! My first year with a CSA membership. I would use them to can pretty vegetables for a winter of goodness! So beautiful!! I love these and I love your blog, so many pretty things beautifully displayed!! These green jars would look awesome with Forsythia! I can’t wait to cut some – it’s always the first sign of Spring for me! Great drinking glasses for a St Patty’s table. I loved your collection of St Pat ideas :). How about for a casual holiday brunch? Year ’round goodness from Ball! Living in a Chicago we seem far from spring! I feel like I can’t wait any longer to open windows hear the birds and see all the flowers bloom in my yard. I can not wait to put Lilly of the Valley’s, tulips and daffodils in them. I have beautiful hydrangea’s, white daisies and salvia that I love to put in ball jars and they also are beautiful with a candle and burlap ribbon. Thanks for all your wonderful pics it keeps me day dreaming! These would look great on an Easter table for ice tea or filled with candy! I follow the blog with e-mail alerts and on Facebook. I love your blog so keep these great ideas coming! I would LOVE to put them on our Easter table with fresh spring flowers and jelly beans! I love your blog and the seasonal tablescapes and have tried to “copy” them! Thank you for passing along your talents! Can we enter more than once? I just read your posting with all the St. Patrick’s Day recipes and would love to try them all. I wish I weren’t single so all the calories could be shared! Would love to win these green Ball jars. The blue variety just don’t go with my decor! Would probably use the jars in many different ways. In my jewelry studio to store vintage buttons, ribbons or other findings; in my home for flowers and in my kitchen to store candy for the grands! Am also an email follower! LOVE your blog! Am working on revamping mine, so have not posted in a while. I would use those beautiful green jars to can fresh veggies from my garden – and I just can’t wait until spring when things start to bloom again! I would use them too for lovely flower arrangements around my home – just as you have. Thank you for a great post with lovely pictures. I love all your great recipes and how you use the lovely jars. I would use them for storage as I store everything in glass jars. You just can’t beat them! Mary,You make my day complete when I see have an email or FB pics of all of your beautiful things,ideas,recipes and of course pics of your two furr babies.Thank you as always for making me smile and I would LOVE to be entered in the beautiful green jar giveaway,they are gorgeous.Have a beautiful day!!!!!!! Also thanks for the St.Patrick day recipes,that is mine and my hubbys anniversary. I just saw the cutest idea for green ball jars on Mason Jar Love. She actually painted her jars, but the project would be even easier if the jars were already green. She glittered them with gold shamrocks! So cute. I am a subscriber and a follower on facebook and pinterest. Love your blog. How’d I miss this? I’m telling you Mary, work is interfering with EVERYTHING and that ain’t no blarney! The green jars are pretty (they make automatic green beer don’t they:@) and all of your ideas are great! Please toss my name into the hat-thanks. Awesome jars!! I can think of a million things to use them for!! Thank you so much for your creative inspiration!! When I am in a slump, I can always find inspiration here!! Love the color! Flowers of course, but I decorate and use with candles. Started with Jingle Jars at Christmas; Hearts of Fire for Valentines Day; Pot’s of Gold for Saint Patrick’s Day. I collect antique mason jars which are light shades of blue. I have discovered a soulful garden of inspiration in your blog, subscribed to your email, and shared it with my sister! The garden gazebo with a six armed chandelier is awaiting these mason jars to adorn them with multi colored tulips for my best friend’s birthday luncheon in April and cream and green hydrangeas and coral roses for Mother’s Day in May,…. all from my garden…… and twinkling candles for starry night dinners with friends during the summer. My mother and I planted 80 tulips on her 80th birthday and she just passed away at 91, so I am awaiting this special rebirthing of our tulips this Spring. I would use them for drinking glasses and also for flowers. I would use the beautiful jars in many ways. Some days I may use them to store nuts, or yummies. Some days I may make mini cheesecakes with them. Other days I may use it to drink detox water or lemonade out of. During christmas I may place lights in them for decoration. They may someday be used to hold doggie treats. In a couple of years once we start having children I may use them to store crayons, marker, and other various crafty things. Love your blog! I would use them for many different things. Food and craft gifties. Flowers, seasonal décor. There are so many ways to choose from. They would be festive vases for daffodils and clusters of orange blossoms which are filling the air with their heavenly fragrance in SoCal. Mary, I have been a longtime follower of your delightful blog. love receiving your emails! I really look forward to them, and the delicious recipes! Those green Bell jars are so pretty,and the possibilities for use are endless it seems. I’d use them for desserts, and just display. I love green. Guess its the Irish in me. LOVELY with flowers and antique marbles in the bottom for added interest. I would love to make some nice strawberry preserves or to use them for flowers. I love the green! I would make solar lights with most and use a couple as flower vases. The green jars would be so versatile…vases, drinking glasses, storage containers. I’d love to win them! I’m an email follower. Thanks for the chance to win such beautiful jars. I would give three of them to my best friend whose favorite color is green. I would put the other three on my new (to me) baker’s rack on the screened porch. Thanks for the chance to win. I would use them in a row as flower vases. I love your table scapes so inspirational! I would use them for drinking glasses. I think they would be great for outside eating. I am also a follower on Facebook. Thanks for the chance to enter! I would use them for flowers, salads for picnics and sipping lemonade in the summer! Love your blog! I would follow you anywhere :) I get your posts by email! Shared on FB and on Pinterest! I Would love love love to win these! They would be great additions to my kitchen since I’m trying to change all of my colors in my home over to green and robin egg blue my family of 5 would put these to great use as our drinking glasses at dinner! You never see green mason jars :) and I just think they are great ! I can think of a million ways to use these inside my house as well as outside. I would share half with a good friend who just redid her home in various shades of green. I am already a subscriber. i also subscribe to your creative and inspirational blog! I would definitely make a lamp out of one jar. That way I could put the green ball jar lamp on my mantle with my blue ball jar lamp. The rest of the jars I would put on my open shelving in the kitchen to store tea bags, sugar, etc. I might try to squirrel away one or two to use for homemade Christmas gifts down the road. I’m so excited about the great things I’ve seen that you create using Ball jars and would love to try designing some things to share with others! These Ball jars are simply beautiful, and your St Patrick’s day recipes are great! Love 🍀 the jars, love 🍀 your site!! Love the green jars! Thanks please enter me! To store dry goods in my open shelving! Love, love, love. Just found your blog today. Guess I’ve been under a rock!! Thank you for your lovely ideas! Why I would fill them with flowers and line them up on my counter. Definitely use them at my garden party this summer. Endless possibilities.